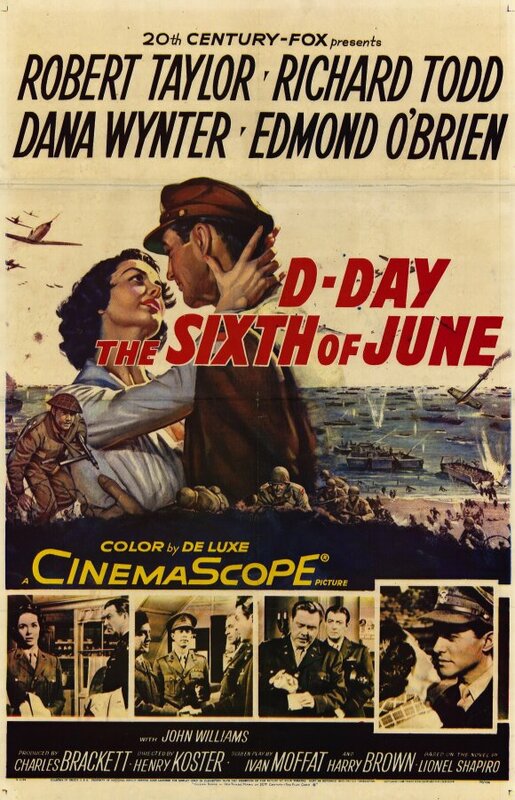 » Blog Archive » D-Day The Sixth of June – Richard Todd. D-Day The Sixth of June – Richard Todd. It seems vital to post something here on the 70th Anniversary of the D Day Landings – and this film at times captures the invasion pretty well I would have thought. SEE THE ORIGINAL FILM TRAILER BELOW. Richard Todd should also be mentioned today as he was the first paratrooper out from the planes involved in the taking of Pegasus Bridge. He did say in a radio interview that, as the first man out, he was able to get down on the ground and prepared before any of the enemy were alerted to what was happening. He also added that as he looked up a few minutes later many planes with gliders were under fire and a lot of them were being shot down. As we know Pegasus Bridge was secured by the Allies. Years later Richard Todd played Major John Howard who led the assault on Pegasus Bridge – in the film The Longest Day.